President Muhammadu Buhari returns back to Nigeria – Royal Times of Nigeria. President Muhammadu Buhari is back in Nigeria. 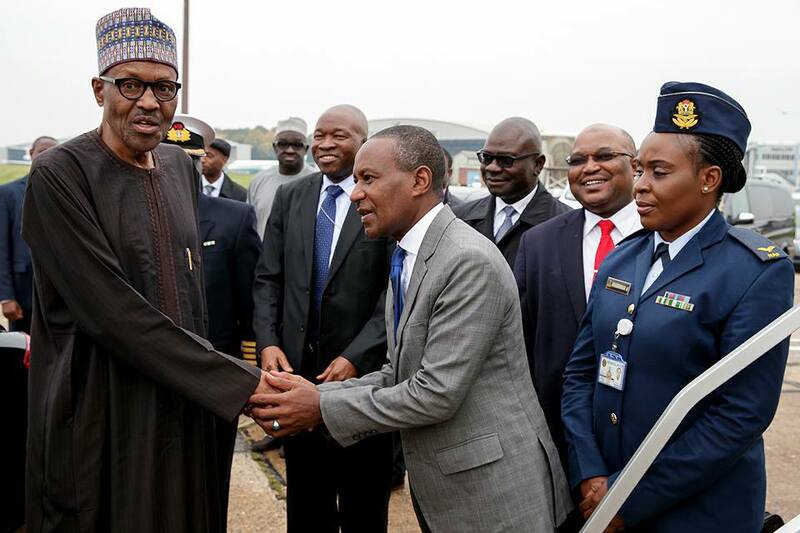 The president landed at the Nnamdi Azikiwe International Airport late on Monday after four days in London. Adesina confirmed his return with photographs showing President Buhari with Nigerian foreign officials in United Kingdom shortly before his departure for Abuja and when he was welcomed by Ondo state governor, Rotimi Akeredolu, David Umahi of Ebonyi and Abdulaziz Yari of Zamfara, who is also the chairman of Governor’s Forum as he arrived Nigeria. The president had traveled to London from the United States where he went for the 72nd United Nations General Assembly, UNGA, meeting. However, the presidency has declined to state if Buhari’s trip is medically related.